Last Laugh Looney Party second-half manifesto. 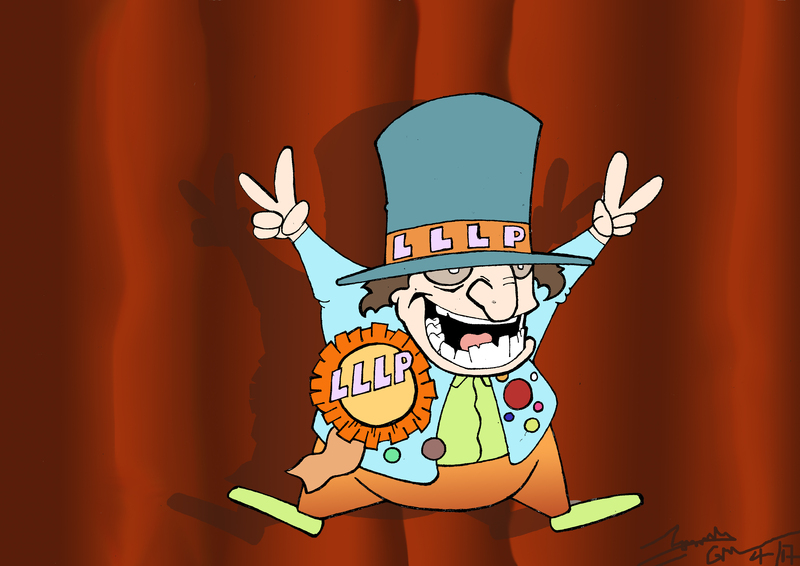 Since the publication of our Last Laugh Looney Party manifesto the opinion polls have been very encouraging. So far we have received 100% support from older people, admittedly the poll was rather small, in fact it was just the two people who commented on my post. Still the facts don’t lie and 100% is 100% ! Sadly, I have not had any responses from Scotland so far, perhaps they don’t want to move to the Outer Hebrides or maybe it is just because I referred to them as dour. In an effort to improve the LLLP appeal north of the Border we have decided to extend our demand for sovereignty to include the Inner Hebrides. Of course this has absolutely nothing to do with the fact that there are a lot of very good whiskey distilleries located there. Although the tax revenues will come in handy and we do have sound medical reasons for consuming the odd tipple or two. I am still waiting for my invitation to go on the Andrew Marr politics programme, but I haven’t heard anything yet. There would be a new law against conning older people. It would apply to unsolicited phone callers who tell you ” your computer has been hacked and they can fix it”; people who knock on your front door and say “I am not trying to sell you anything”; bank managers and insurance salesmen who fail to explain things in a simple way and leave you befuddled; opticians and hearing aid vendors who tell you every year ” your sight / hearing has deteriorated and you need to spend even more money with us”; and last but not least, most politicians who promise the earth before an election and then disappear for the next three or four years and forget the promises they made. All of them must learn to speak clearly at the Sylvia Peter’s School of Good Diction and use no slang or acronyms or swear words. At least half of them should be over pension age and have grey, white or no hair. On day one after the election our new Island Government we will reintroduce ” feet and inches” —- miles never seemed to go away anyway. ” Pounds and ounces” — will be back too —– who ever understood a kilo of potatoes and grams are far to small to make sense. As for litres well ! Only Germans drink litres of beer and we never got round to litre-sized milk bottles —- so we will go back to “gallons and pints” and ” bushels and pecks and rods and poles and perches” they were so much more understandable. Just for good measure the LLLP will revert back to our former and totally unique currency of Pounds, Shillings and Pence. Oh and Farthings. Things seemed so much cheaper with farthings ! We will no longer be linked to decimal coinage and the Euro will only be legal currency for supermarket trolleys, public toilets and parking meters. Although of course without cars on our Islands, there won’t be any parking meters, or speeding fines or traffic wardens or road fund licences or congestion charges. If you get congestion you need to go to the doctor. And while we are at it, we will get the weather forecasters to speak English and only talk in ” Fahrenheit “. When the temperatures are in the 70’s and 80’s again it will all feel much warmer. VOTE FOR THE LAST LAUGH LOONEY PARTY. 2 Responses to Last Laugh Looney Party second-half manifesto. Your readership for the Looney Party has increased by 1? And a Scot at that from Burns Country [Ayrshire] and as the song goes- the miles and the road to Dundee! Not forgetting the tipple of the masses, in a square bottle with either a ‘’black’’ or ‘’red label’’-Johnnie Walker from Kilmarnock. You mention Andrew Marr and his politics programme? Just recently on the box edited by the loonys from either BBC or independent TV channels, was held up in a NHS predicament, with an ailment? Is he not now an old ‘‘crock’’ of what I leave you too decide, and be the gentleman, but like all politics, it makes the ‘grass grow in Texas’! Your scoundrels remind me of a recent civic duty, I undertook! I had used the web for payment and was invaded not by my negotiating financial company: But by some scallywag alleging to be PayPal with a handle ‘@homeoffice.gsi.uk’ it all beggars belief. Your TV presenter, and the mention of Sylvia Peters, brought back memories of Mum and Da and our first ‘Telly set’ watching on a Sunday Night 19.00 or 20.00 the program of ‘’What’s my line’’ with chairman Eamond Andrews, Bara Kelly, David Nixon and the ‘grump-pot Gilbert Harding. Memories, and then my childhood/school days a green ticket on a blue bus with men in White coats – a ride to the local Loony bin- Lord Sutch has a lot to answer for?? Imperial Measures, well lad you have forgotten my betting preferences for a race in Furlongs, with horses that have 4 legs, if you take an inch you take a mile as grannie would say? A stone of potatoes or half a stone? And the milkman in his horse and cart, or electric delivery chariot [name at the moment escapes me?-it is not a dray-that is for bear- It is a ‘Float’’-Eureaka?? ].The pennies, farthings and ha’pennies will follow with as when I was younger I once was given a ‘groat ‘in my change, for a silver three penny piece. Going abroad all that ‘Britex’ palaver with only £100 sterling could be changed at any one time into –Dauchmachs, francs, gilders, peseta’s, drachma’s and a trip to America was a dream too far, But in Loony party lingo still do able, just dream and it will either be a nightmare or the reality. The only travel I may do in the future is in my ‘’Chelsea type scooter/buggies, and I will need guidance, does it go faster and further in Kilometres, or miles per hour, of has it got horsepower or kilowatts as the driving force, and do I charge it up in joules or watts?? And for how long?? Do I have to pay parking charges, abide by a speed limit? I thought the world was my oyster, or is that an aphrodisiac, do I still attract the attention of the ‘birds’? It is all double Dutch too me, but the ‘Last Laugh Looney Party’’ do make sense as I ride off in my blue bus with my green ticket and the men in white coats?! It all makes sense to me are you joining me for the Jeremy Corbin’s’ extra bank holidays he is offering?? Maybe my bus ride will be free in a batter burg van of a certain type??? Ps. what are the political colours of the day? Purple/blue/ green/ yellow/ red, or is that just colours of the rainbow, with a ‘CROCK OF GOLD AT THE END OF THE RAINBOW?? I wish you all well and good day. as always my spelling and english is delightful, I hope you follow the errors, and are not too harsh on this ‘old duffer”?